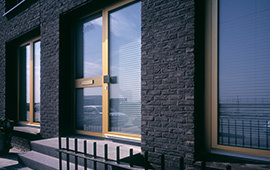 AluPure aluminium windows, doors and sliding systems offer the highest level of quality and security. Their classic lines are the perfect complement to the modern architectural style. The fascinating attributes of these aluminium elements are their excellent fitness for use, even under extreme loads, and assured perfect functionality at all times. Alupure is more than just a name. AluPure is a brand that symbolises a blend of unforeseen creativity, highest technology and unparalleled durability. What makes AluPure different from its competitors? Well, ask our customers who swear by our quality aluminium sliding systems and the quality of our casement windows and doors installed in imperishable and excellent aluminium frames. Most aluminium window manufacturers in India have started emulating our designs and it gives us pride and joy. We know that the skills of our craftsmen are unmatched. Their persistent efforts to showcase the best have resulted in many Indian houses and offices opting to use our products. Old houses getting refurbished are also opting for our genuine aluminium products. 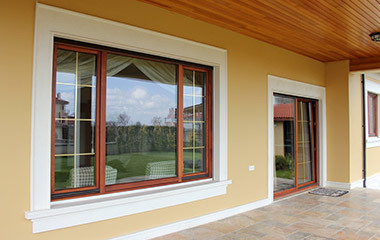 Alupure aluminium systems is one of the trustworthy names in the Indian fenestration industry. 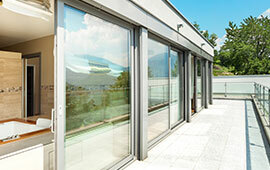 We are the highly acclaimedprofile manufacturers of aluminium doors and windows in the country. Our unique styles and designs of windows and doors have a universal appeal and are arranged according to international styles. Wide range of window and door systems without compromising on the quality is made possible because of the highest quality material, best technology and highly motivated team of engineers. Designers and homeowners can complement their interiors with the variety of options we offer. Modern architectural elements of homes, high rise apartments, contemporary office buildings, hotels, can all get customised window and door solutions from us. Fashion trends are now largely governing the construction sector. Apart, the need to use things that are sustainable and eco-friendly without burning a hole in the pocket have prompted most construction companies to install aluminium windows and doors as opposed to using expensive timber. This is evident from the increasing demand that aluminium door manufacturers in India are catering to while also accommodating rising demand for aluminium windows and sliding systems. Be it building a house or office, the presence of aluminium as an ideal material for creating windows and doors is getting more pervasive. Double glazed windows are a common sight in commerical buildings these days which offer efficient thermal insulation throughout the year in different weather conditions. "Every craft needs clothing" governs our choice of colouring and finishing processes. Our products are available in a wide range of traditional, vibrant and designer colours. Colours say a lot about one’s emotions and what better way could be there for people to express themselves than use colours that highlight their artistic sensibility while also creating their own personal niche. Whether you want to enhance the look of your home or office in contrast to its surroundings or merge it harmoniously with nature, our vast range of colours will lend a finishing touch to your windows and doors. Security is a major concern among people while ordering windows and doors for their houses. 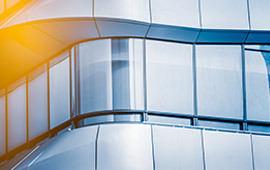 The solid metal connectors are fixed to aluminium profiles to form an inseparable bond for strong, stable closed frames. 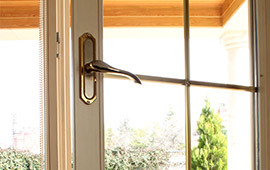 Additionally, the multi-point locking systems provide higher security and make your house safe from burglars.